Ultra luxurious sweater fro Duffy NY. Super stylish with plain knit front. 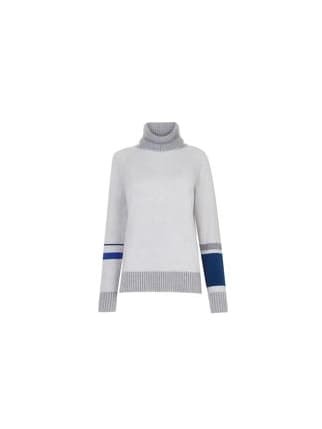 Ribbed striped neck in two greys. Matching ribbing with side splits at hem. Striped cuff detail. Blue striped sleeves with different striping on each sleeve.